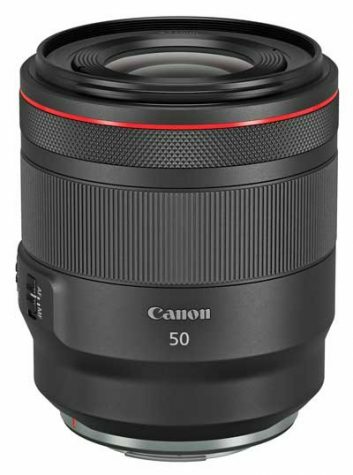 Photographers who require the highest performance will be the main buyers of this fast, solidly-built, standard prime lens, which boasts extensive weather-resistant sealing. Thanks to its wide maximum aperture, it is relatively large and heavy and, at the same time, expensive! But speed, performance and high build quality come at a price – and it’s one some discerning pro and enthusiast buyers will doubtless be prepared to pay. 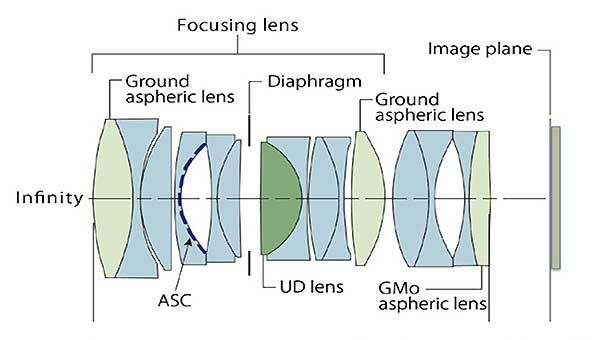 There’s a lot of glass in the optical design, which is complex for a prime lens with 15 elements in nine groups, including three aspherical and one UD (Ultra-low dispersion) lenses. Air-Sphere Coating (ASC) minimises the effects of ghosting and flare, while a 10-bladed iris diaphragm creates a circular aperture for attractive bokeh and 10-pointed stars when the camera is pointed at a bright light source. Autofocusing is fast and near silent, thanks to a ring-type ultrasonic motor that works with optimised algorithms and a high-speed CPU, and full-time manual override is supported. JPEG files displayed very high resolution both near the centre of the frame and towards the periphery of the frame between f/2.8 and f/8, where diffraction began to take effect. (Raw files delivered even higher resolution. ) Even uncorrected raw files were virtually free of vignetting and distortion. The size and weight of this lens make it possible to shoot hand-held at shutter speeds as slow as 1/10 second. The effective integration of the lens with the camera body ensures comfortable and steady shooting. The construction of the RF 50mm f/1.2L USM lens is more complex (and heavy) than most 50mm primes, with 15 elements. 1. The best standard lens we’ve tested for a full-frame camera. 2. This lens takes advantage of the new Canon RF mount to provide superior sharpness across the image frame from edge to edge and corner to corner. 3. Impressive autofocusing delivers sharp images and movie clips and the AF menu in the EOS R enables photographers to set functions like tracking, focus area size and focus positioning as well as responses to match different subject scenarios. 4. Manual focusing is easy because the fast lens produces a bright viewfinder image and the EOS R provides a helpful EVF display showing distance, depth-of-field and aperture. 5. Close-up shooting is limited to 40cm and the depth-of-field is paper thin at f1.2, providing plenty of scope for differential focusing. 6. Bokeh is exceptionally smooth. Interested? For a more comprehensive review, click here.